Worcester is a cathedral city in England with a population of around 100,000 people, most of whom identify as Christian. 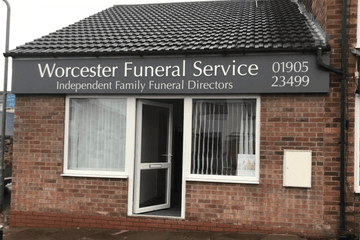 There are also many people of Chinese, Indian, Pakistani and Bangladeshi heritage in the town, so funeral directors in Worcester may have experience providing funerals in keeping with a range of religious and cultural traditions. The town’s cultural diversity is reflected in the places of worship around the city. The most famous of these is the Anglican cathedral which overlooks the River Severn. Churches include All Saints Worcester and St George’s Roman Catholic Church. There are two mosques in the city and two Buddhist centres. Jewish, Sikh and Hindu residents are served by places of worship in Birmingham. There are numerous funeral homes in Worcester offering a 24 hour, seven day a week service tailored to the needs of a diverse community. 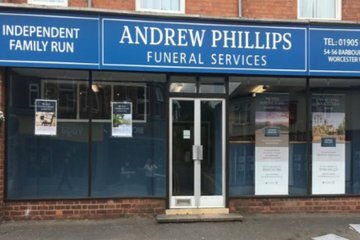 Local funeral directors can provide an individually tailored service, discussing requirements with the family and taking care of everything from floral tributes to transport. Whether families require a traditional funeral or a woodland burial for their loved one, funeral directors in Worcester will be able to advise and recommend the most appropriate and affordable services. Burials can take place at Astwood Cemetery and cremations at the adjoining Worcester Crematorium. Worcester City Council staff take a flexible approach to their duties in order to accommodate the needs of the bereaved, whilst upholding cultural responsibilities. Search for local funeral directors in Worcester now using your postcode or area. You can filter search results by best rated, most reviewed or nearest to you. Click on a funeral director’s listing to see their profile page, where you can read customer reviews, learn more about their services, and get in touch to begin making funeral arrangements for your loved one.